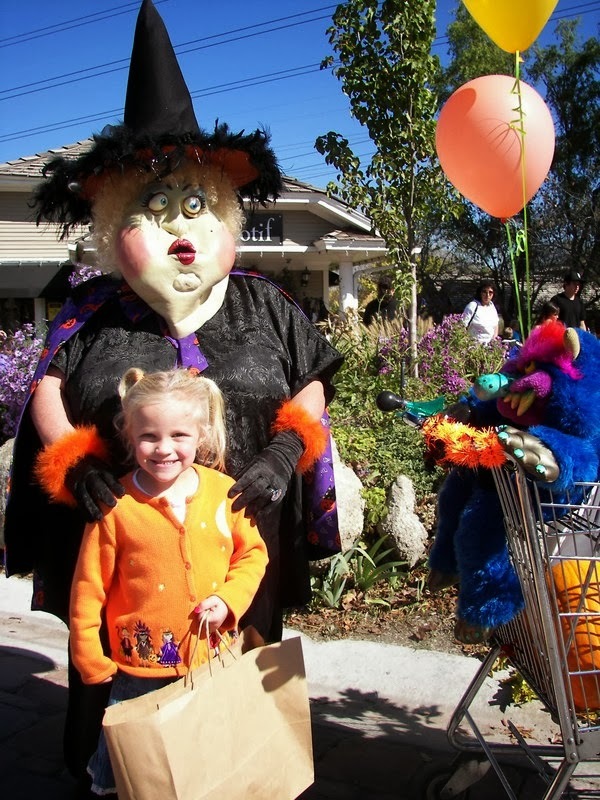 Every year for the past, I don't know how many years, we make the Trek to Gardner Village near Salt Lake City where the witches gather for Witch Fest. Even though my children are older now, they love to go. The first place we hit is the Sweet Afton's Candy Store. We always buy some sort of candy. My kids love junk candy :). This store can get quite crowded on the weekends. This witch is playing baseball -- who knew that witches have their own League? This witch is directing traffic, and there is a lot of traffic around this area at Halloween, especially at Witch's Night Out. These witches are always prepared, there is even a firefighting witch. 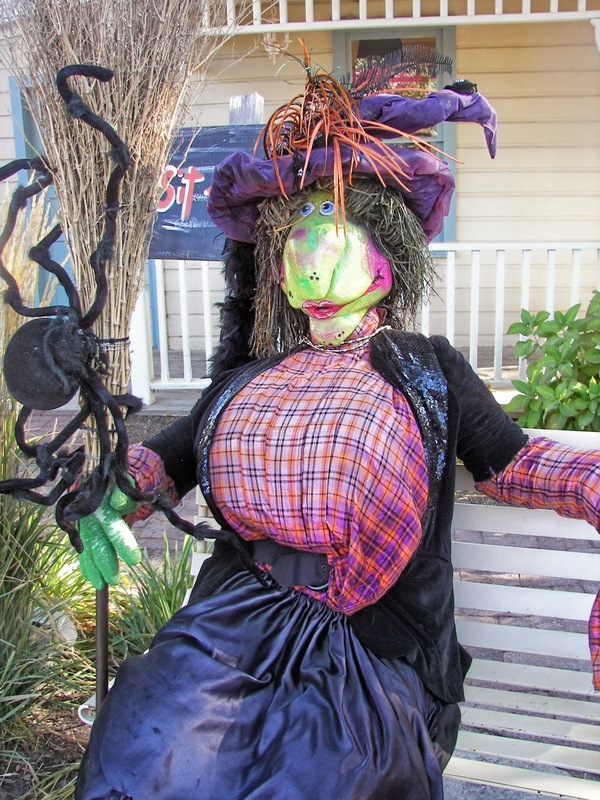 Of course there is a "Peek-a-Boo" witch! Glad this one is on water! She has been a fixture here for years. Need to rent some ghosts? This old gal never stops doing her hoola hoop. A lot of people dress up as witches or wear their costumes. Sometimes there are "house" witches rambling about. They have a Witches Night Out, That is something to behold. We went one year and didn't have witch costumes on, and we totally felt out of place. We peaked in the bakery and there were all these people with witches hats on. Can you say alternate reality? 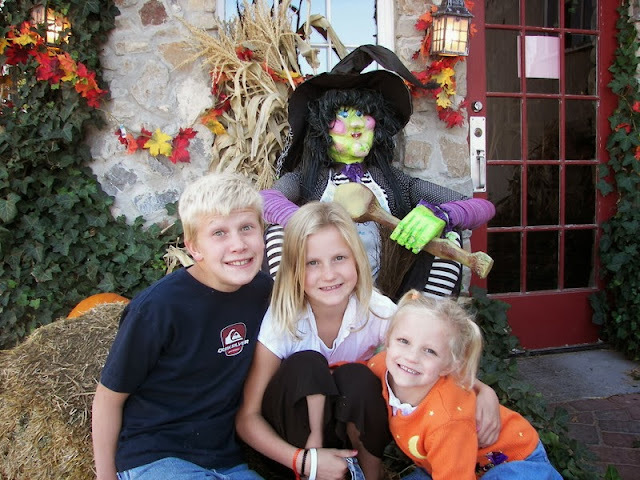 This is my youngest daughter Talley when she was about five years old with one of the "house witches." A vintage shot of my children. 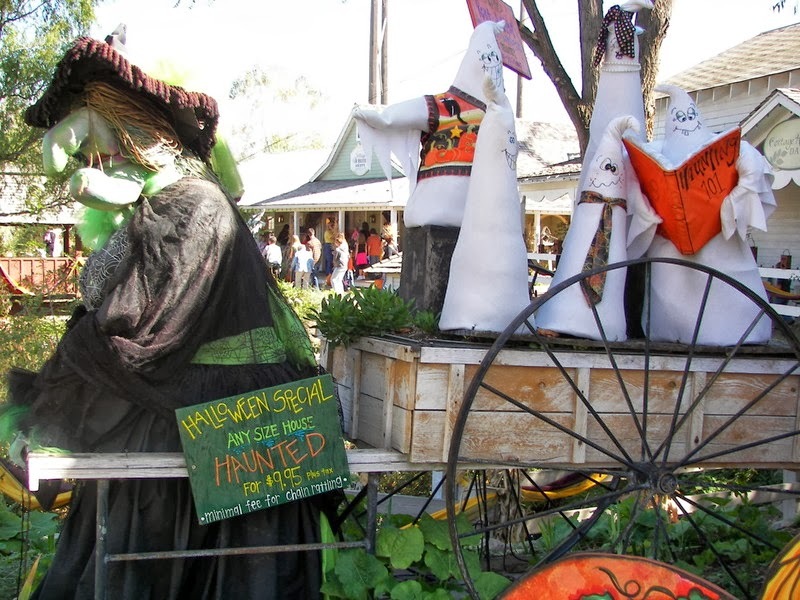 Most of the stores are decked out with Halloween witches, pillows, signs, and other goodies. We like to ramble through the stores, I bought the glittery subway-type sign that says Candy Corn. We also bought a scarf and three pairs of earrings (all non-Halloween) this year. There are pumpkins everywhere, which of course makes me smile. Hope you have enjoyed our visit to Garner Village. It is quite close to Salt Lake City. If you ever are there in October, it is well worth a visit. Joni, I would love to visit Garner Village. Salt Lake City is actually on my bucket list so maybe I'll make the trip in October. Since you and Jacqueline are into witches, have you been to the museum in Salem, MA? You know how to enjoy Halloween there, for sure! Such a party - my favorite place during this time of year! They are all so beautiful!! What a great place! 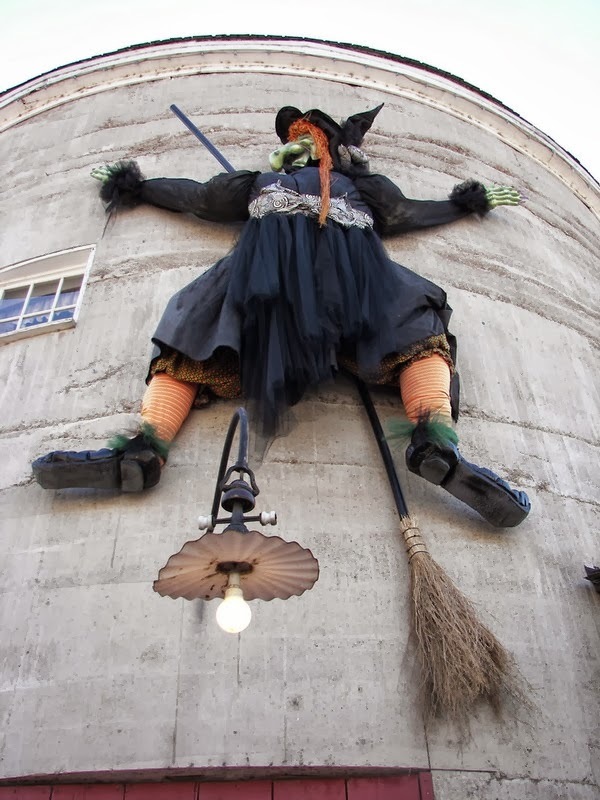 Love the witches, and love the pumpkin house too. Your children looked like they were having a great time. Thanks for a fun post! Joni, this does look like a fun place. The Dallas Arboretum does an amazing job every year. I've only seen photos. Thanks for sharing all the fun images here. Makes me want to make a trip to Salt Lake City in October. Zoulah's thoughtful package arrived. Yummy!